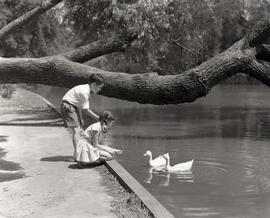 Black and white portrait of Don Bennett's children. Black and white portrait of Paul and Anne Jackson. 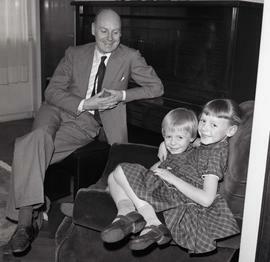 Black and white photograph of Roger Schiffer (left), Jennifer Schiffer (right) with two unidentified children standing between them.